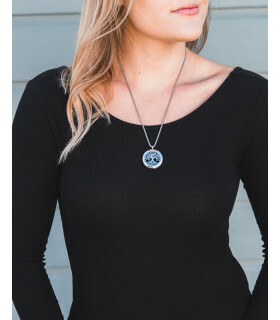 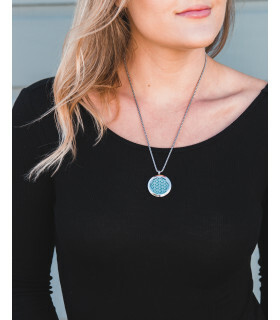 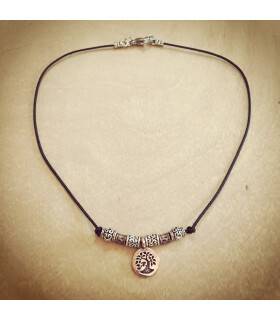 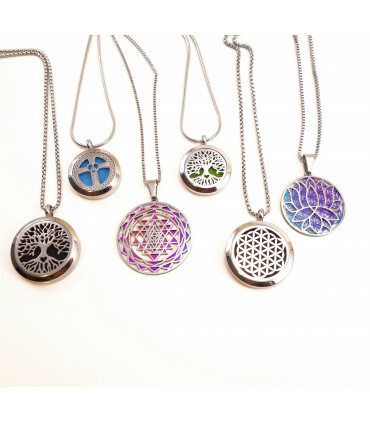 The necklaces are available in stainless steel chain, nylon cord and rubber cord and feature pendants with an AUM, Tree of Life, Sacred Geometry, Cross and many other spiritual themes. 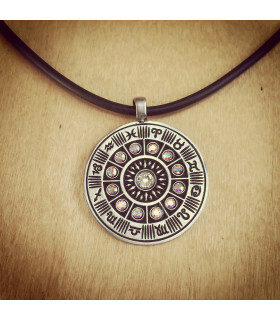 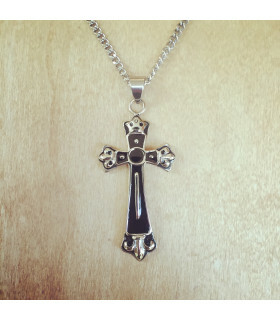 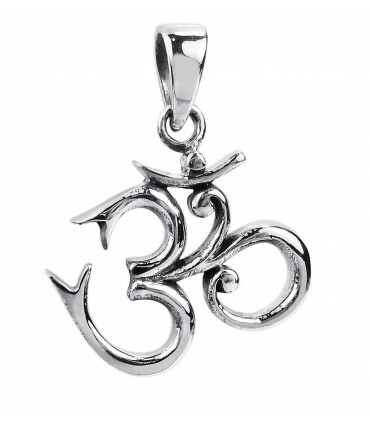 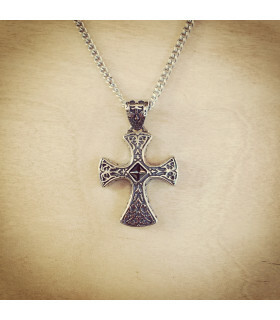 The pendants are made of sterling silver, stainless steel, or plated pewter. 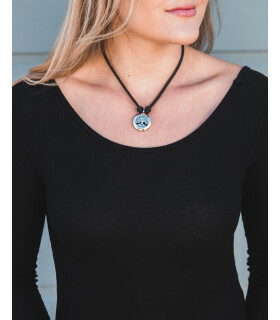 Some of the nylon ones are available in shorter lengths so you can wear them during activities where you are upside down or jumping. 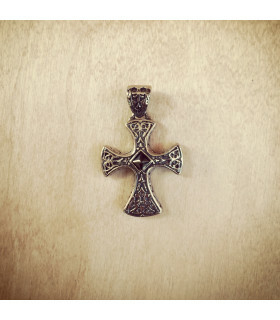 If there is a style that you like that is out of stock, please email us and we can let you know when it is available. 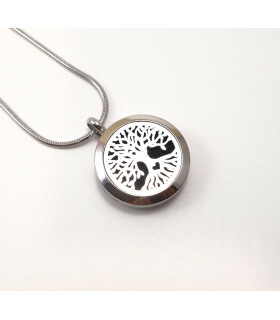 KarmaCords® Stainless steel Tree of Life aromatherapy locket -25mm. 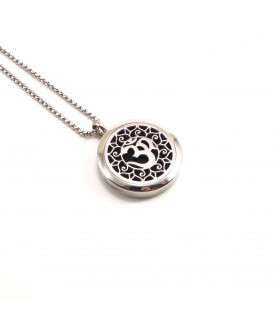 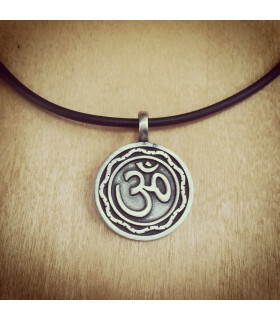 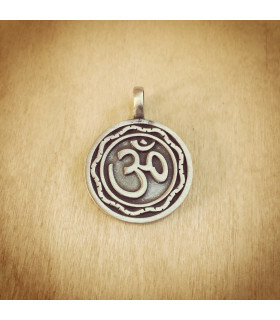 KarmaCords® AUM Aromatherapy Locket -30mm. KarmaCords® Stainless steel Tree of Life aromatherapy locket -30mm. 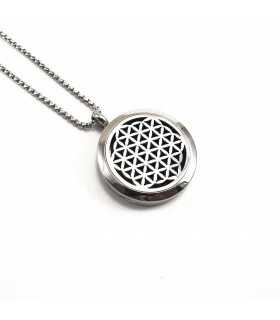 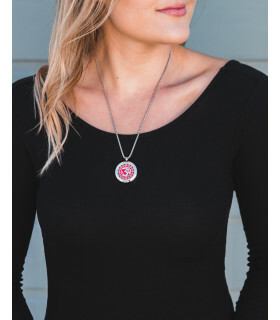 KarmaCords® Stainless steel Flower of Life aromatherapy locket -30mm. 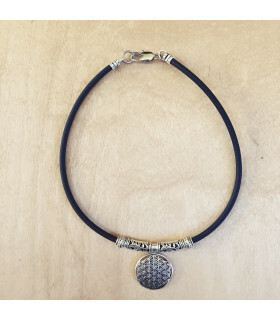 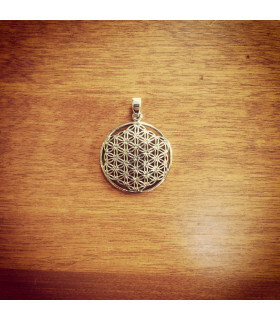 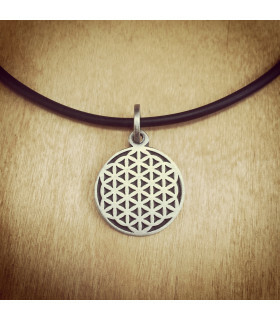 Large Detailed Flower of Life Necklace on 4mm rubber cord with accent beads. 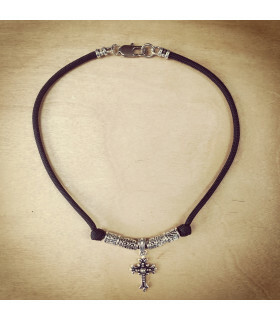 Stainless steel clasp.